Shopping for Batman Key Chains? What better symbol to keep on your keys than that of your favorite superhero? 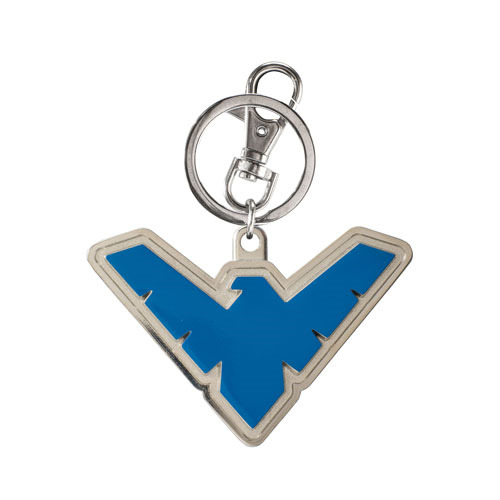 This Batman Nightwing Emblem Colored Pewter Key Chain belongs on your set of keys, if you're a true fan of Nightwing. Featuring Nightwing's symbol painted blue, this stunning key chain would look amazing on your keys. Measures approximately 2 1/2-inches by 2-inches. Ages 12 and up.